In timely fashion for Health Literacy Month, the U.S. government has ONE HEALTH PUBLICATION TO RULE THEM ALL. Oh, sorry. Let me just turn off caps lock. Good…now where was I? Health. Yes! Health, United States, 2014 from the Centers for Disease Control and Prevention (CDC) National Center for Health Statistics is the source code you need if you want to know the health status of a nation. This annual overview of trends in national health and well-being contains pages of eye-widening statistics on all manner of health conditions and behaviors. Sure, it’s an omnibus of charts and trend tables. But it’s also an education in the health determinants of Americans. No contrivance or filter here. Just plain ‘ol actionable data. A heap of it. So, I will pull out a few choice pieces. Take the special feature that explores baby boomer health. This graying 55-64 age group is fast approaching the Medicare years and the assemblage of chronic diseases that come with it. The book states that the two leading causes of death for this group are cancer and heart disease. No surprise there. But what is rather interesting to note is that this pre-retirement age group is the most diverse of its kind ever. 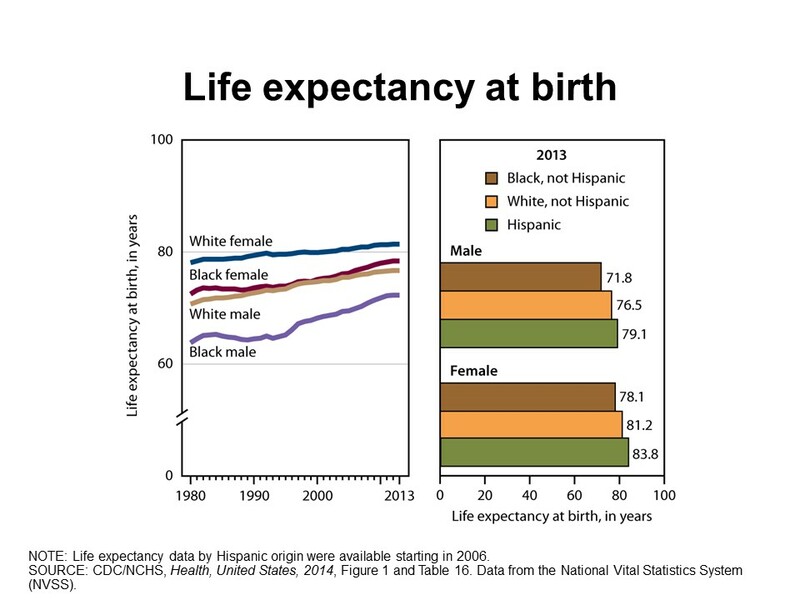 Of course, the CDC’s health statisticians are wise to consider those socioeconomic and demographic differences and how they relate to key health measures. That’s good data work, folks. the publication, that is “often used to gauge the overall health of a population.” Americans are living longer—in 2013, the average age reached 78 for men and 81 for women. There’s such a bounty of telling stats that a summary here can’t do justice. That’s why the CDC included a trusty In Brief companion to the encyclopedic volume. And if any data nerds out there want to comb through spreadsheets, each section includes links to reference materials. There’s something refreshingly empowering about reading health information in raw form, to stare down the portrait of American health straight on. So go ahead. Take this set of health facts and figures—the one health publication to rule them all—and use it for good. About the author: Our guest blogger is Chelsea Milko, Public Relations Specialist in GPO’s Office of Public Affairs. This entry was posted on Tuesday, October 27th, 2015 at 1:31 pm and is filed under Department of Health & Human Services, Health care. You can follow any responses to this entry through the RSS 2.0 feed. You can leave a response, or trackback from your own site.